The steel tube packing machine with automatic film draw back tension controlling device in packing machine can be used for small and big bundle packing. By stretch wrapping, the bundle package can be well protected and sealed, which good for sea transportation for bars, sheets and so on. Also Fhope provides automatic packing line connecting to your production line and production process. The ring designing is 5 year warranted since ring structure plays an important role in the series of the orbital horizontal stretch wrapper machine.Fhope provide wrapping station fro forklift of the tray package. Besides, the wrapper can also be loaded and moved back. 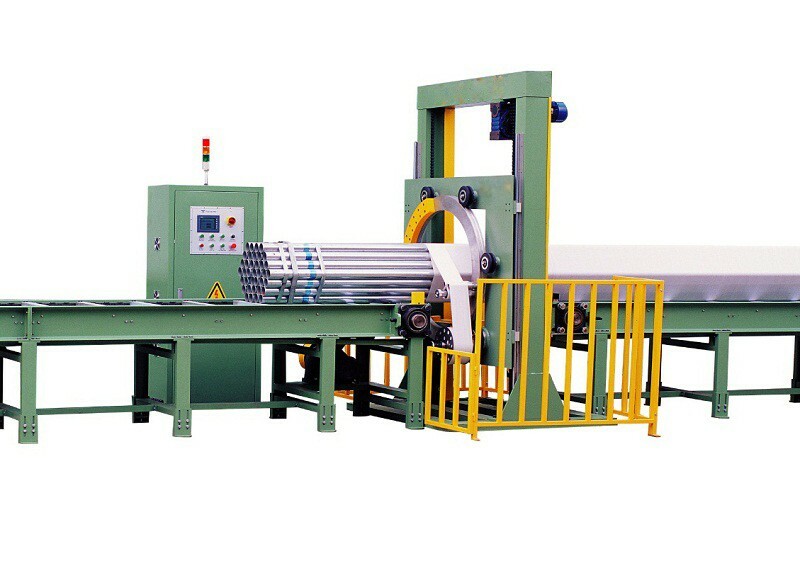 So that it is able wrapping the package in manual or semi-automatic horizontal orientation with horizontal direction.